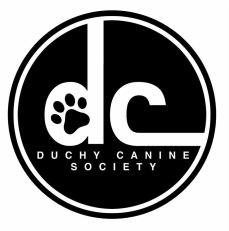 ﻿Why not join Duchy Canine Society? Membership is a reasonable at £2.50 single, £3 joint and £1 junior. Payable on the 1st January annually. Download the form below and return to the Secretary. You can also join when you enter one of our shows. The Society shall be called DUCHY CANINE SOCIETY and its objects shall be TO HOLD COMPETITIVE EVENTS AND TO PROMOTE RESPONSIBLE DOG OWNERSHIP. The Club shall be called Duchy of Cornwall Canine Society and its objects shall be to organise shows and social gatherings and to give assistance whenever possible in matters relating to responsible dog ownership. The area of operation of the Club shall be the duchy of Cornwall. Membership of the Club shall consist of an unlimited number of members with full voting rights, and an unlimited number of junior members age to 18 years without voting rights. Single membership - One adult with full voting rights. Joint membership - Two adult members of one family, resident at the same address, with full voting rights. Junior membership - One child up to the age of 18 tears without voting rights. An up to date list of members and their addresses will be maintained and made available for inspection if so requested by the members of the Club or by the Kennel Club. A declaration of the number of members of the society will be made with annual returns. Candidates for membership shall be accepted upon payment of subscription. Each member shall be entitled to one vote after 12 months of membership. Postal votes/proxy votes are not allowed. Voting shall be by show of hands. As payment of the subscription will entitle the member to enjoy every benefit and privilege of the Club, such payment shall be his/her acknowledgement of and acquiescence to the Rules of the Club. c) is bankrupt or insolvent or of unsound mind. The Officers and Committee of the Club shall consist of Honorary Secretary, Honorary Treasurer, Chairman and a Committee of 9 members. No members of the Club shall be eligible to stand for election as an Officer of the Club or as a Member of the Committee until he/she has been a Member of the Club for at least 12 months. The Club shall have a President who shall be elected by committee and thereafter remain in office for a period of 3 years. Provision shall also be made for such number of Vice Presidents as the Committee may from time to time decide who shall be elected by the Members of the Club. The duties of the President and Vice Presidents will be to promote the interests of the Club, as and when seen fit. No persons whilst on undischarged bankrupt may serve on the Committee of or hold any other Office or appointment within a Kennel Club Registered Society. The management of the Club shall be in the hands of the Officers and Committee of whom 3 members of committee shall retire annually on a 3 year rotation. The Honorary Secretary, Chairman and Honorary Treasurer shall be ex-officio members of the Committee with the right to vote and shall retire annually but shall be eligible for re-election without nomination. Committee meetings shall be held as often as deemed necessary but at least every four months. Dates of Committee meetings shall be set from one meeting to the next by agreement. Venues for meetings shall be agreed by the Committee but may not be held at the place of resident of a Committee member except with the full agreement of the whole Committee. At least seven clear days notice of the hour, date and venue of the meeting shall be sent to every member of the Committee together with a copy of the business to be transacted. In the event of an emergency arising an Extraordinary Meeting of the Committee may be called by the Secretary or Chairman and only the business requiring the calling of such a meeting may be discussed. No other items may be added to the agenda. The quorum for a Committee meeting shall be 5. The Committee shall have the power to co-opt members on to the Committee in the event of positions becoming vacant. Those co-opted shall only hold office until the next General Meeting of the club at which election of Officers and Committee takes place. The Chairman and Vice Chairman shall be elected by the Committee from amongst the Committee members at the first Committee meeting held after the Annual General Meeting of the Club. In addition to the vote as a Committee Member the Chairman shall have a casting vote where there is an equality of votes. In the event of any member at any meeting disregarding the authority of the Chairman or being guilty of obstructive or offensive conduct a motion may be moved and seconded to suspend the member for the remainder of the meeting or adjourn the meeting until a later date. If the motion to suspend the member is carried the member shall retire for the remainder of the meeting. If the motion to suspend the meeting is carried a date and time shall then be set for the recommencement of the meeting. In the event of a Committee Meeting or General Meeting becoming angry or acrimonious and not coming to order when called to do so, the Chairman, at his discretion, may suspend the meeting for a period of 30 minutes after which time a decision must be reached whether to continue the meeting or adjourn until a future date. The Committee shall have the power to appoint Sub-Committees The Committee shall have the power to deal with or dispose of any questions which may arise on any matter whatsoever which are not expressly provided for in these Rules. Any Committee member failing to attend three consecutive Committee Meetings without a reasonable explanation shall be deemed to have resigned from the Committee and shall be notified to this effect. The Honorary Secretary shall be require to summon and attend all meetings and keep the minutes of any such meetings and to conduct the correspondence of the Club. The Committee shall have the power to invite any person or persons, whether a member of the Club or not, to attend any meeting to assist in the business but such person or persons shall not be entitled to vote. The financial year of the Club shall be from 1st April to 31st March. The Annual General Meeting of the Club shall be held before the end of May for the following purposes. To receive the Report of the Committee and Statement of Accounts and Balance Sheet. At least 21 days prior to the Annual General Meeting fully paid up members shall be notified of the meeting and asked to submit items for the Agenda. This notification may be given by publication in the papers 'Dog World' or 'Our Dogs' if this meets the time schedule. A Special General Meeting shall be called by the Honorary Secretary or the Chairman if 20 members send a signed requisition stating the subject to be discussed. No business other than the matter on the agenda can be discussed at a Special General Meeting and eighteen shall be a quorum for such a General meeting. The property of the Club shall be vested in the Committee. In the event of the Club ceasing to exist a General meeting shall be called to decide the disposal of the Club's assets and the outcome of the meeting shall be notified to the Kennel Club. Donors of trophies shall be contacted where possible and their wishes as to the means of disposal of trophies complied with. A Banking Account shall be held in the name of the Club into which all revenue of the Club shall be paid and from which withdrawals shall only be made on the signature of two Officers (Secretary, Treasurer or Chairman). The Treasurer shall maintain the accounts and an Auditor shall be appointed at each Annual General Meeting for the purpose of auditing the Club's Accounts for the ensuing year before the Annual General Meeting. All Club expenditure must be submitted in detail to the committee and authorised by a majority vote. The annual subscriptions shall be such an amount as agreed in General Meeting and notified to the Kennel Club. No member whose subscription is unpaid is entitled to any of the privileges of membership and if the member shall fail to pay outstanding subscriptions by the end of March his or her name shall be automatically erased from the register. Acceptance back on the register shall be dependent upon a new application for membership. The Rules of the Club may not be altered except at a General Meeting the agenda for which contains specific proposals to amend the rules. Any proposed alterations to the Rules may not be brought into effect until the Kennel Club has been advised and approved the alteration. Any Member who shall be suspended under Kennel Club Rules A42j(4) and/or any Member whose dog(s) is/are disqualified under Kennel Club Rules A42j(8) shall ipso facto cease to be a Members of the Society for the duration of the suspension and/or disqualification. If the conduct of the member shall, in the opinion of the Committee of the Club be injurious or likely to be injurious to the character or interests of the Club, the Committee of the Club may, at a meeting the notice convening included as an object the consideration of the conduct of the member, determine that a Special Genera! Meeting of the Club shall be called for the purpose of passing a resolution to expel him/her. Notice of the Special General Meeting shall be sent to the accused Member, giving particulars of the complaint and advising of the place, date and hour of the meeting that he/she may attend and offer an explanation. If at the meeting a resolution to expel is passed by a two-thirds majority of the members present and voting, his/her name shall forthwith be erased from the list of members, and he/she shall thereupon cease for ail purposes to be a members of the club except that he/she may, within two calendar months of the date of such meeting, appeal to the Kennel Club upon and subject to such conditions as the Kennel Club may impose. forwarded to the Kennel Club by the Secretary for continuance of registration and that by 31st July each year, other returns, as stipulated in the Kennel Club Regulations for the Registration and Maintenance of Title of Societies and Breed Councils and the Affiliation of Agricultural Societies and Municipal Authorities will be forwarded to the Kennel Club. The Officers also acknowledge their duty to inform the Kennel Club of any change of Secretary of the Club which may occur during the course of the year. The Officers acknowledge their duty to inform the Kennel Club of the month in which the Club's Annual General Meeting is held and to notify the Kennel Club of any subsequent amendments to that date. 12. The Kennel Club shall be the final Court of Appeal in all matters in dispute. 13. The Club shall not join any Federation of Societies or Clubs. The members of the Committee and any Sub-Committee thereof, the Officers of the Club and Auditor(s) shall be indemnified out of the funds of the Club against all loss, costs and charges, which may respectively incur or be put to on account of any contract, deed, act, matter or thing done, entered into, executed or permitted by them respectively on behalf of the Club; and each of them shall be chargeable only for so much money as he may receive and they shall not be answerable for the acts, receipts, neglects or defaults of each other but each of them for his own acts, receipts, neglect or defaults only. Neither they, nor their heirs, executors or administrators shall be liable for any loss or expenses happening to the Club through any insufficiency or deficiency of title to any property for or on behalf of the Club or for the insufficiency or deficiency of any obligation or security in or upon which any of the funds shall be invested or for any loss or damage arising from the bankruptcy, insolvency or wrongful act of any person with whom any monies, securities or effects shall be deposited or for any loss, damage or misfortune whatsoever which shall happen in the execution of the duties of his office or in relation thereto unless the same happen through his own fraud, wilful neglect, default or breach of trust.